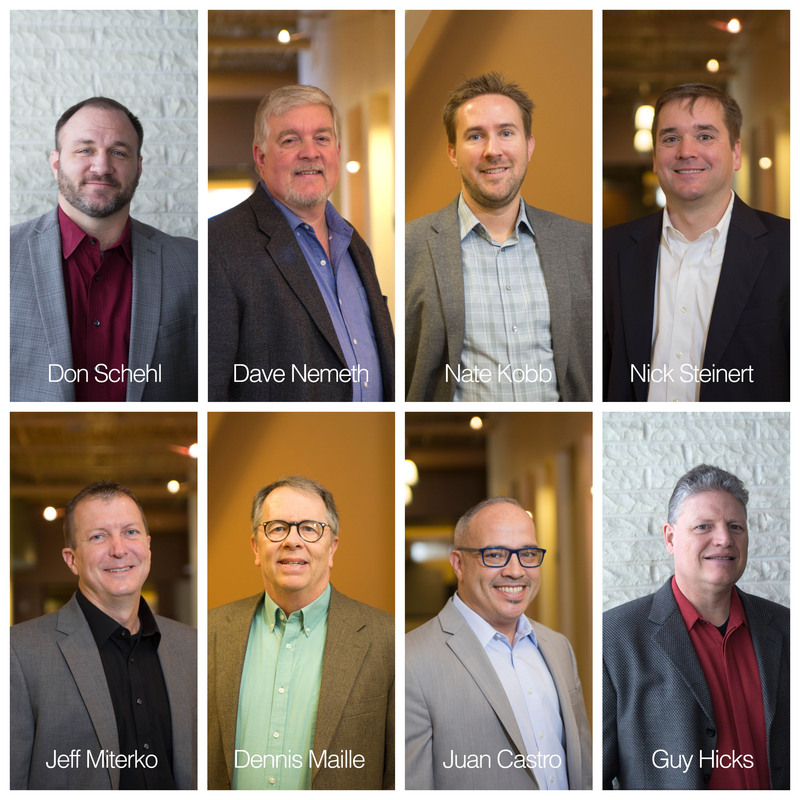 In early January, long-time Principals Juan Castro, Guy Hicks, Nate Kobb, Dennis Maille, Jeff Miterko, Dave Nemeth, Don Schehl, and Nick Steinert assumed new roles as Managing Principals following the retirement of Mike Thorson and Gordon Baker. This new Managing Principal group was instrumental in helping to develop the firm’s expansion over its 26 year history and are honored to be given further opportunity to continue to the growth and success of TBA into the future. The continuity in management comes from this group's over 160 years of combined service at TBA and allows for a seamless transition with a renewed commitment to providing the same level of attentive and professional service that our clients have come to expect from TBA. TBA’s industry-leading structural, mechanical, electrical, technology, civil, and commissioning departments are nationally recognized for experience in over 15 markets. Hiring talented and friendly staff, focusing design on modern technologies and value, extreme attention to quality control and building lasting relationships through creative design and collaboration with architects, owners and contractors have been hallmarks of the firm’s success. The Managing Principals are excited to have the opportunity to continue to grow and impact communities around North America by providing innovative design services to our partners in the A/E/C industry.